Domesticated dogs are among the most loyal pets anyone can have. They have the instinct to protect humans, which is why they can be excellent family guard dogs. As you can imagine, not all dogs are created equally. Some are better suited for home defense than others. 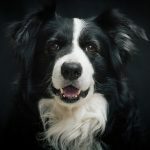 In this article, we’re going to show you ten best dog breeds for home defense that are ideal for protecting you and your family. These are one of the best pets for protecting your home. They’re fast, strong, and curious – all attributes of a fantastic watch dog. With that said, they can be playful and loving just like any other dog. 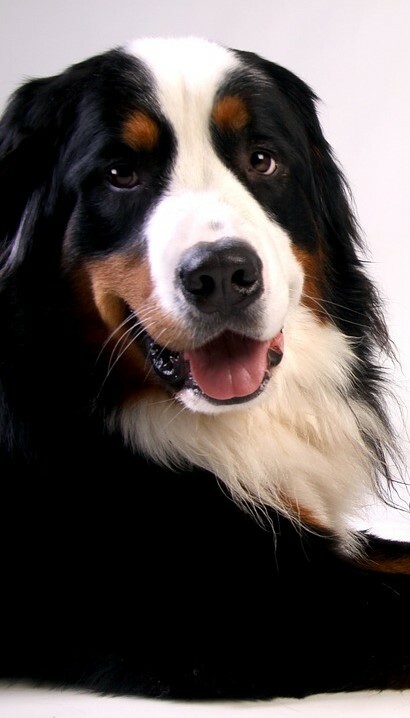 Of all the dogs on this list, the Bernese Mountain Dog is probably the one that people haven’t heard much about. Still, they’re a great option for anyone wanting to protect their family. Bullmastiffs are known for their raw physical strength and courage. 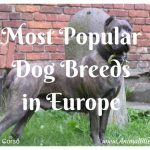 They have a strong instinct to protect their owners and are extremely loyal. 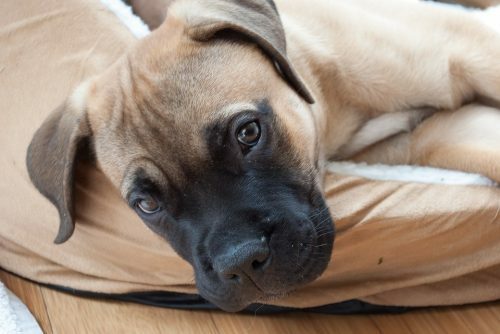 Bullmastiffs can pick up on even the slightest changes in the environment (sounds, movement, etc.). If they see something that’s “out of place,” they’ll check it out. It’s this natural curiosity that makes them a perfect dog for home defense. It’s unfortunate that Rottweilers have been portrayed as monsters by the media. 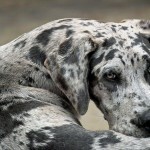 The truth is, they’re just like any other dog – they’re affectionate, loyal, playful, and great with children. 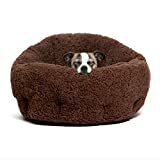 As you may know, they have incredibly strong bites and can look very intimidating to potential burglars. 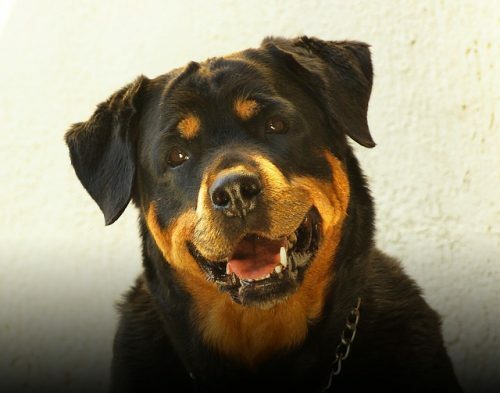 With a Rottweiler protecting your home, you won’t need to worry about anyone breaking in anytime soon! 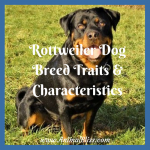 Note, if you want to learn more about raising Rottweilers (or any other animal), check out Pet Care Lab. 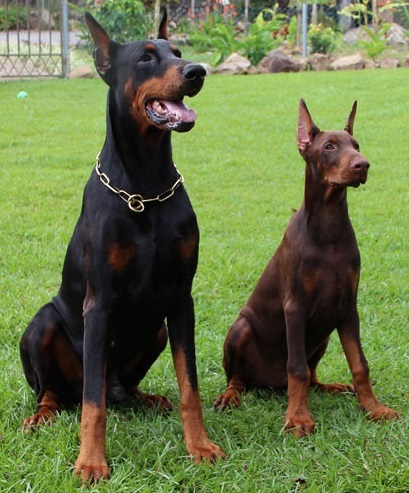 If you’re protecting a large piece of property, the Doberman Pinscher is an excellent dog to consider. The reason why is because they’re very quick and agile. If they hear a noise, they can literally be there in a matter of seconds. The Doberman Pinscher is also an intelligent dog. They may not be as physically powerful as the Rottweiler, but they make up for it with their speed and intelligence. 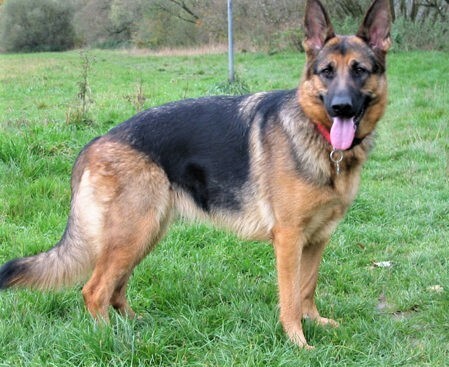 The German Shepherd Dog is known for its fearlessness and confidence (hence why law enforcement uses it). These dogs are extremely disciplined. Once you train them to do something, it will stick for life. German Shepherds can be trained to listen to dozens of commands, as well as be trained to act on those commands at a moment’s notice. For protecting your home and family, there’s no better dog that I’d want to have by my side. At first glance, this odd-looking dog might not seem too scary. But looks can be deceiving. 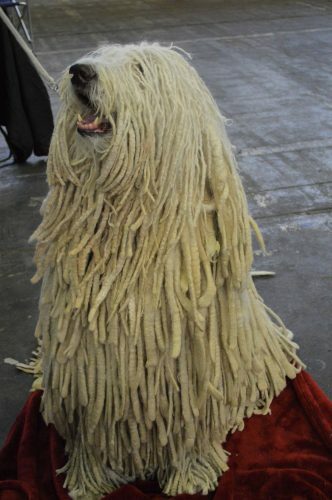 The Komondor doesn’t take intruders lightly. While they’re very loyal to family and friends, they won’t hesitate to attack a burglar. In some cases, these dogs can be overprotective. For this reason, it’s probably best to get them trained by a professional. 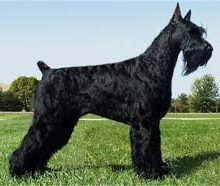 If you had to describe the Giant Schnauzer in one word, it would be “dominant.” While loving and respectable towards family, they can be very defensive towards strangers. 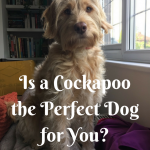 A quality that makes them an excellent guard dog is that they’re fast. 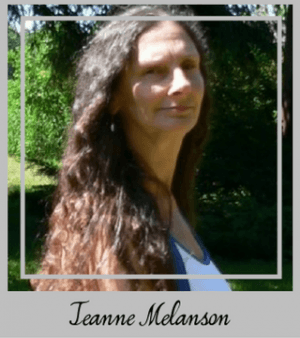 They can get to the edge of your property in a matter of seconds, which should discourage anybody from wanting to enter and steal something. 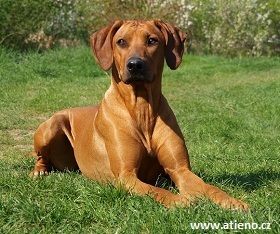 While less familiar than many of the others on this list, the Rhodesian Ridgeback is an excellent pet for families. Most people don’t know that they were originally bred to help defend their owners against lions – yikes! 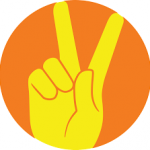 Don’t worry – they are kind, compassionate, and loving towards people that they know. Yep – it looks like a giant cotton ball, but don’t let that fool you. 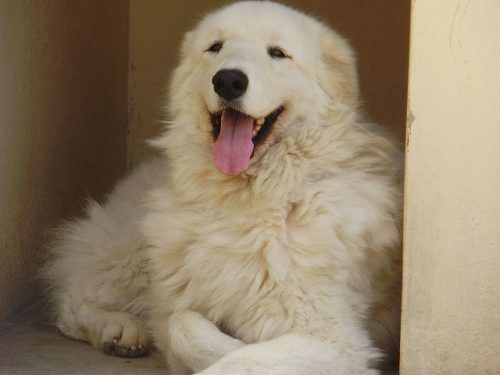 If you or your family are ever in danger, the Kuvasz will come running. Once you build a bond with them, it will be there for life. If you live on a farm, then you’re a prime candidate for this dog. Why? Because they’re great at protecting horses, sheep, chickens, goats, and other farm animals. 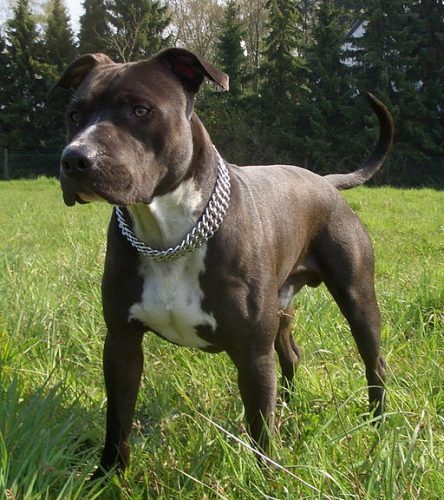 The last dog on our list is the Staffordshire Terrier. Back in the day, owners would use these dogs to fight bears and bulls. Many of those aggressive qualities are still present in these dogs today, which is why they’re great at protecting families. Don’t worry – they’ll never harm you or a family member. But if they see someone trying to hurt them, you can bet that they’ll get involved! 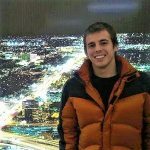 Guest Writer: David is an animal-lover with a mission to help people become better owners. 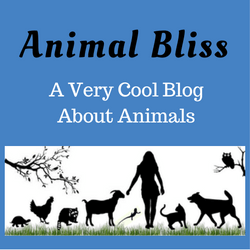 He blogs regularly at PetCareLab.com. 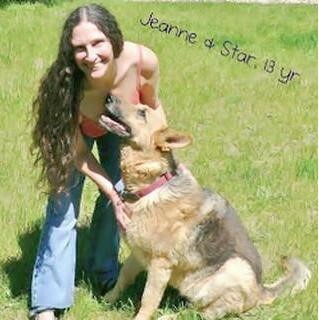 You can also find PetCareLab on Facebook. Have you chosen your dog with home defense in mind?